MV215 series microscopes from Holmarc are cost effective yet state of the art products for general purpose laboratory applications including biomedical and pathology. 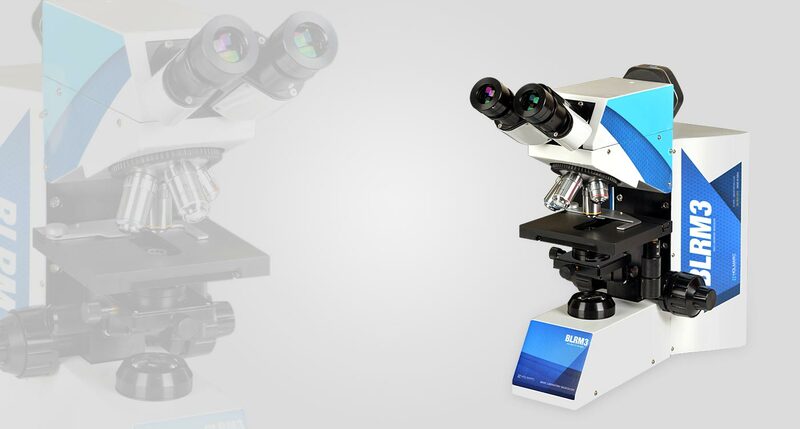 This microscope is available in two models with binocular and trinocular heads. Portability and ease of use have been taken care of in the design along with stability and robustness. All materials used in the microscope are corrosion resistant to make sure of maintenance free operation. The body is esthetically finished to suit the ambience of any modern laboratory. Extreme fine focusing movements are assured by the use of precision machined and lapped mechanics. MV215 series microscopes are fitted with precision mechanics including fine focusing mechanism integrated with coarse focusing. Model HOMV215-BLRM2 has binocular head. Each head has standard eyetubes inclined at 30 degrees with the left eyetube having graduated diopter settings. The smooth-operating, ball bearing mounted, quadruple nosepiece provides effortless objective changes. Powerful Koehler illumination provides enhanced image quality and brightness for the observation of specimens. Advanced research microscopes with custom specifications are also manufactured at Holmarc. Please contact our sales team with your requirements. Our microscopes have carefully designed and constructed body for rigidity, robustness and portability. Sub-micron sensitivity is achieved by precision linear motion stages with minimum possible friction and stick-slip. Our optics have been widely acknowledged for visual clarity and precision of results. Optics are made in house from the highest quality raw materials. All components included are inspected for quality at every manufacturing point before putting in to assembly. We customize and supply scientific microscopes to research laboratories. Head : Binocular Head, 30° Inclined. LED power : 3W, comparable to an halogen bulb 30-35W. Head : Trinocular Head, 30°Inclined. Any digital camera model that supports C-mounting can also be attached. Holmarc manufactures microscopes of varying sophistications for a variety of applications. Entire optics and mechanics for these microscopes are manufactured in house by our experienced technicians for assuring quality of the end product. Our objective is to provide our customers with superior products comparable to the best in the world at the most competitive prices. Each and every optics that become parts of these microscopes are hand polished to the highest quality and inspected for manufacturing defects before putting in to assembly. The microscope body is designed ergonomically and esthetically. Each and every mechanical part is manufactured with care for lifelong operation without maintenance. Smooth focusing movements are achieved by rolling contact bearings wherever spatially possible or by fine lapped mating surfaces. There are four different models of standard microscopes available from Holmarc meant for differing scientific disciplines and applications. We manufacture custom designed microscopes as well, whether the customization is in optics or in mechanics. Holmarc Microscope Interactive System Controller brings a new level of user control for automated microscopes. 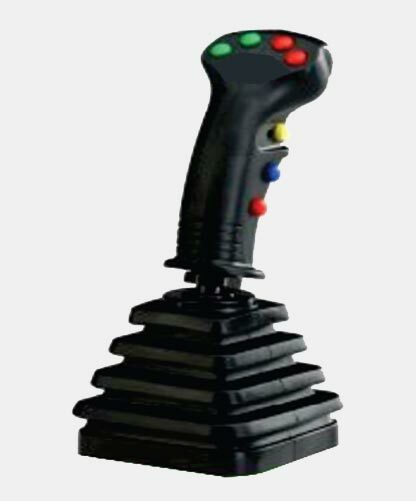 The familiar joystick style control is enhanced for fine and coarse stage positioning. System include most functional keys and are arranged intelligently for intuitive application.